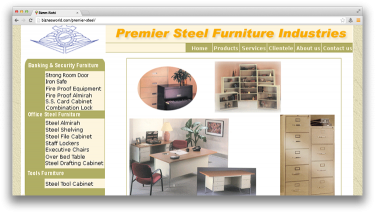 Description The history of Premier Steel Furniture Industries dates back to the year 1961 when Mr. Syed Wahid Hassan laid the foundation stone and started a small business setup with a very limited capital. In the initial days of our existence, PSFI used to deal in just a one product which was steel almirah. Address 316, International Auto Parts Market, Marston Road, Karachi.